You should come to Israel and spend a few hours at some of its beaches if you have always wanted to experience the Mediterranean beach. The beach is also the place where you can meet with the locals and make friends with them before you return to your country. 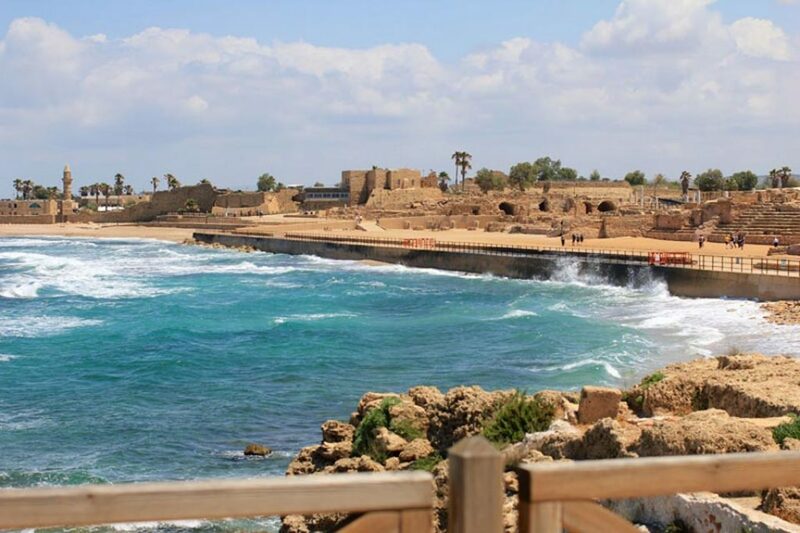 The following are the 4 most popular Israel beach spots. Beit Yanai Beach is located about 20 minutes driving distance from Tel Aviv. The beach is under the protection of Israel Parks and Nature Authority. Passive/active rest surfing, water skiing, and surfing, and kite surfing are some of the popular activities at the beach. The beach is quiet during the mid week but gets crowded in the weekend. On this beach, you can frequently see soft shelled turtles. The remains of Kfar Vitkin Pier which was originally built in 1938 can be found at the Beit Yanai Beach. The beach is kept clean and provides access to a variety of modern facilities. Coral Beach is a popular place for you to snorkel and explore colorful aquatic creatures in Eilat, Israel. There are lots of fishes to see including clownfish, and baracuda. There is an entrance fee and the fees the tourists pay will go into protecting the coral reef. You can access the reef nature reserve via 2 bridges. The south bridge is near to the Moses Rock which will just take 1 minute to swim to it. On the pier, you will find a shop where you can rent snorkeling equipment like mask and flippers. It offers amenities like sun shades, chair, sunbeds, and supermarket. Metzitzim Beach used to be known as Sheraton Beach because it is situated near o the Sheraton hotel. Now, it is called Metzitzim Beach after a 1970s Israel movie. It is a sandy beach in Tel Aviv with calm water. Amenities like cafe, toilets, lockers, gazebos, shower rooms, volleyball court, and kids playground are available. There is a place where you can workout with exercise machines. On Friday, the beach will be crowded with locals. You can rent chairs and umbrella from the vending machine. The beach is specially suitable for families with kids that are not good swimmers. Dor Habonim Beach is a sandy beach with rocky bay in Zichron Yaakov, Israel. The beach is crowded with people every day. It is best to visit in the wee morning hours or after 6 PM. It is a natural reserve area that is controlled by the Nature and Parks authority. On this beach, you will find several rocky bays covered with sea shells. There is a small cave called Blue Cave in the rocky bay. Dor Habonim Beach is a well maintain beach suitable for couples to go for romantic strolling or for young families with children. They also allow you to set up your camping tent in the area. There are many types of plants that change according to seasons at the beach.